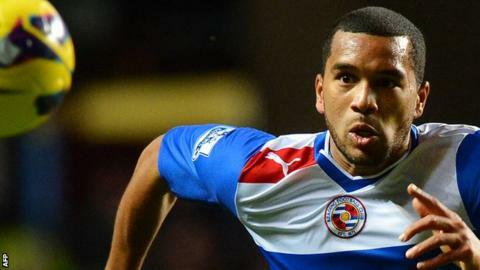 Crystal Palace have signed defender Adrian Mariappa from Reading for an undisclosed fee on a three-year deal. The 26-year-old made 32 Premier League appearances for the Royals last season as they were relegated. "I'm delighted to be joining Palace and playing in the Premier League again. It's something everyone dreams of," he told Palace's official website. The Eagles also added defender Jack Hunt from Huddersfield and winger Jimmy Kebe from Reading on Sunday. Mariappa, who has 12 caps for Jamaica, joined Reading from Watford in 2012, having graduated from their academy and had captained the club at all levels. He has made only appearance this season - in the Royals' 6-0 League Cup defeat by Peterborough. "Playing there [in the top flight] last season was a great challenge as it is is the biggest league in the world and you're playing against the best players, so when this opportunity came to me I jumped at it," he said. "Selhurst Park is always a great place to play, the atmosphere has always been amazing and I've had some great games against this club. "I want to prove I can play at this level and I'm sure that will be the same for everyone in the squad as we aim to stay in the Premier League."